Since researchers are not absolutely certain as to how the Mayan civilisation collapsed at the end of the Classic Period, many possible theories have been proposed. It has been variously claimed that the Mayans cities in southern lowlands underwent rapid decline because of certain environmental changes. It has also been proposed that the collapse was a result of a foreign invasion so that the invaders left the region after plundering the Mayan cities, burning some of them. Some have forwarded the possibility of epidemic diseases as the potential culprit, a factor which would have rapidly eroded the populations in the Mayan cities and forced the survivors to flee to other areas. An interesting theory that has been cited by researchers in the final decades of the 20th century states that the Mayan collapse may have come about due to an erosion in the authority of Mayan rulers. This theory states that as the Mayan city-states grew up in size and became home to more complex forms of society, the traditional religious rituals no longer held a strong enough sway over the populace. The royal authority also diminished as it became harder to rule with a centralised form of government. Proponents of this theory state that the inability of Mayan rulers to adapt to changing social conditions led to a failure of social and political systems, and consequently the civilisation collapsed. 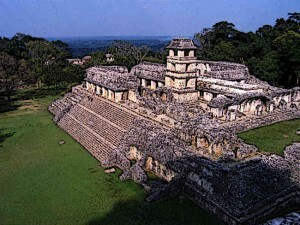 Mayans civilisation came into being in the tropical rainforests of the southern Maya lowlands. The civilisation reached its peak during the Classic Period, ranging from 3rd century to 9th century. At the end of the Classic Period, Mayan civilisation in the region came to an abrupt end. Although scientists and researchers have been unable to ascertain the exact cause of this rapid collapse, one of the most convincing theories is that Mayans had to confront serious droughts and adverse environmental conditions in their homeland. This led to social and political instability and ultimately forced Mayans to shift to other regions in Mesoamerica. Many other potential explanations also exist for the Mayan collapse, although they are based on looser and less convincing evidence.